While Jackie was working on this quilt she realized that mixing batiks and regular cottons was not a good idea. 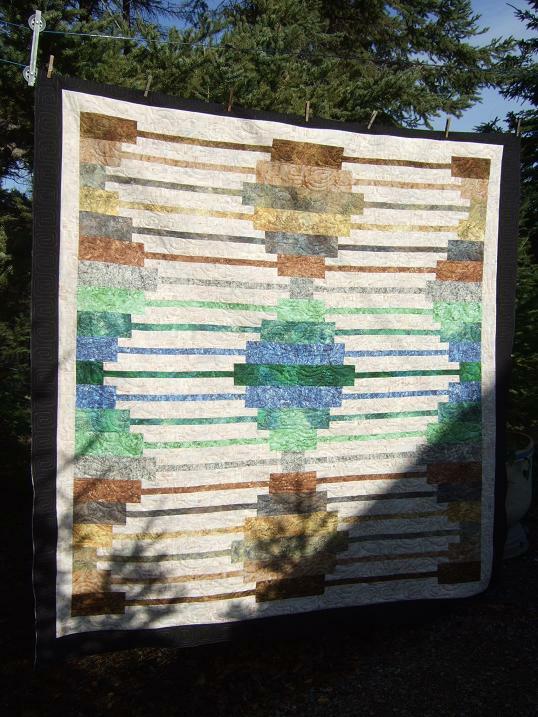 The Stonehenge had a lot more stretch than the batik so squaring it up for the borders was a bigger job than usual. Her time and effort in making sure her borders were done right was greatly appreciated as I had no problems quilting it on my machine. I hear she had a good teacher helping her...thanks A! Jackie picked Tickle for the center panto and left the outside border design up to me. 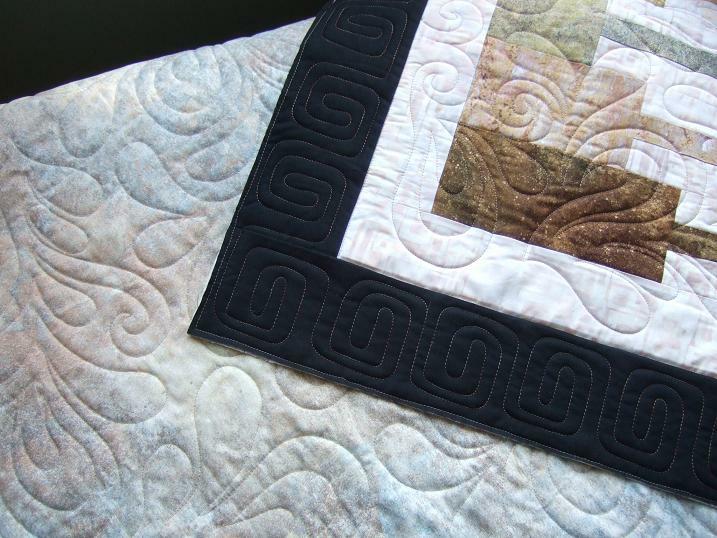 The batik fabric has a rectangular print so I decided on quilting a free hand square swirls using a brown variegated Lava thread. Her backing was Stonehenge as well. Kathy, I love both the quilt and the quilting! Very nice! Whoa! That's a *freehand* square? Wow, Kathy! They're so nice and even. Awesome K - it looks great - I certain it will be very much appreciated in it's new home! I will definitely keep sending my stuff your way - gives me an excuse to come back into the north country!!! That's a really cook pattern. 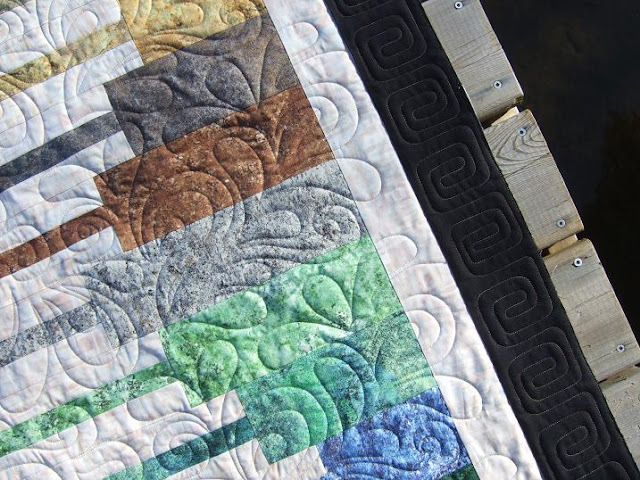 I love the square swirls you did in the border. Really cool! Nice. Do you mark any registration points for that great border swirl? 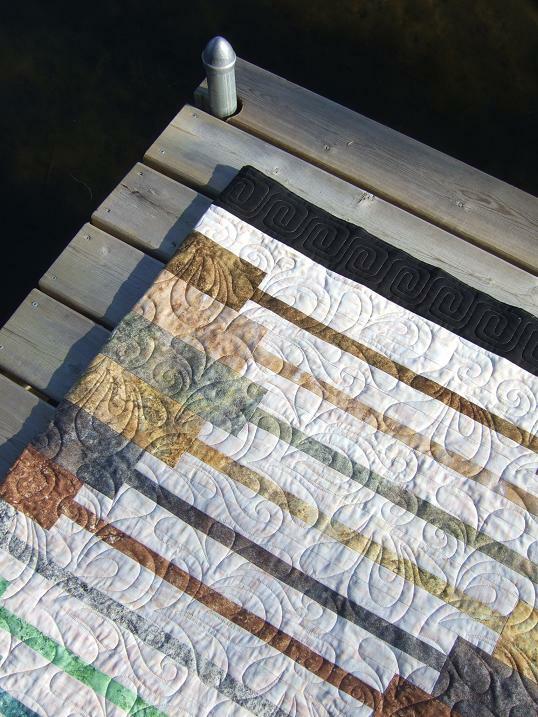 What a stunning quilt, and the border is really special.